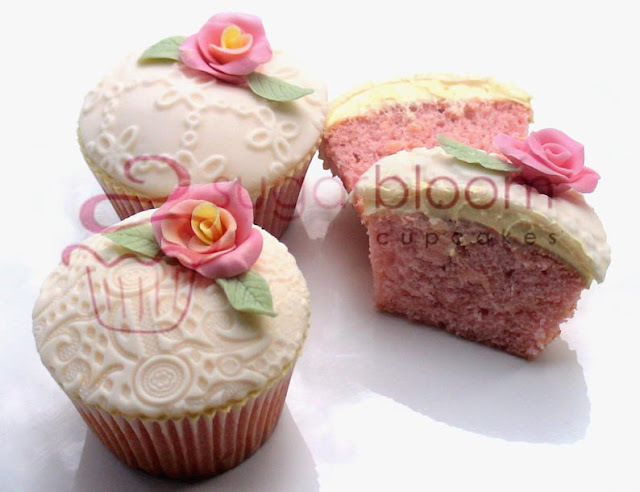 Rose pink Coconut cupcakes with White Chocolate buttercream. Covered with embossed white fondant creating a lovely lacey textured finish. These make me swoon. Amazing! What beautiful cupcakes! I ordered Lace & Roses, Ivory and Ice Green! They were wowed at by all my guests. Should have lots of referral orders rolling in soon. Can't wait for Australia Day next year so I can order those Aussie Day Cupcakes. And looking forward to some Christmas cupcake designs???? Wouldn't they be a special gift for friends and family!